Colourful Cards Paper Pumpkin Club! It's a surprise monthly kit that comes to your home complete with ink, paper, card stock, embellishments, die cuts and an exclusive stamp set. It could be a card kit, journals, decor or treat boxes. Each month is different and each month contains a new ink spot, never the same one twice. So a great way to discover and collect our fabulous inks. Each kit takes about 30 minutes to complete. A luscious, creativity escape. 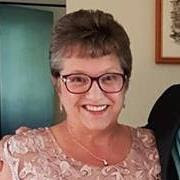 Join my Colourful Cards Paper Pumpkin Club and attend live monthly classes held in my Merrickville home, once a month shortly after receiving our kits, to put them together. The idea is not to have you collect the cute little boxes that come to your door, but to get together to stamp a variety of projects each month that you're going to love to share. So, plan to join my Colourful Cards Paper Pumpkin Club Club. 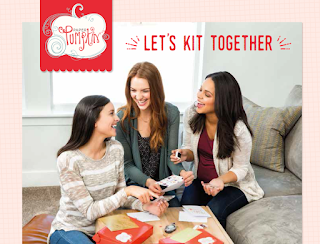 You need to sign up for a kit by the 10th of each month. It will be shipped to you around May 15th. Bring the kit to the live event and lets have fun. 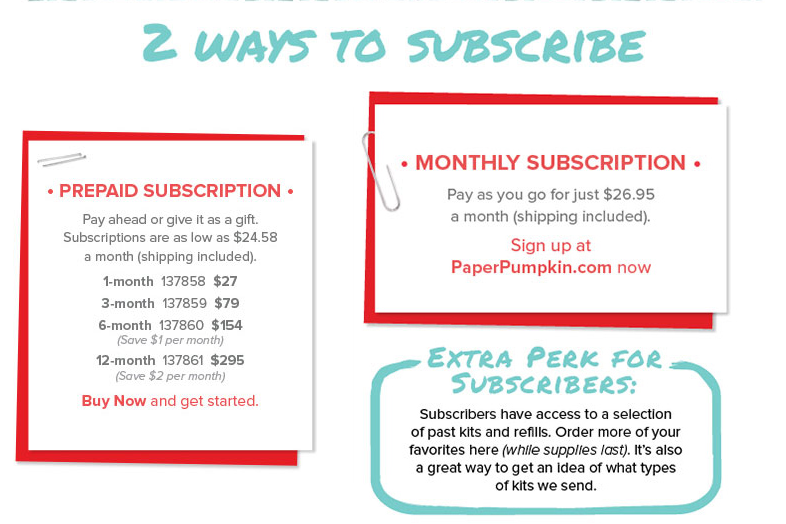 A Paper Pumpkin membership is $26.95 per month pay as you go, or get a prepaid subscription. There’s no commitment, you can cancel your monthly Paper Pumpkin at anytime. You also have the option to skip a month if you want.